The ‘Value Added Service’ concepts in SFS Training work! And owners and managers who attend SFS leave pumped up and eager to transform their business! BUT many hit a “brick wall of passive rejection” with their employees when they return home! That’s right- their workers don’t ‘get it’! You see, the challenge is that business owners and managers who attend SFS quickly see ‘what’s in it for them’. However, they then struggle with getting this same ‘Value Added Service’ message across to their employees! Jeff not only teaches the VAST course but early in his career spent several years working as a carpet cleaning technician. Plus he currently owns a carpet cleaning company in Kansas City. So your employees will immediately feel at ease with Jeff since he has ‘spent time down in the trenches’! The ‘Emotional Dynamics‘ of working in a customer’s home. The difference between buying goods and services. 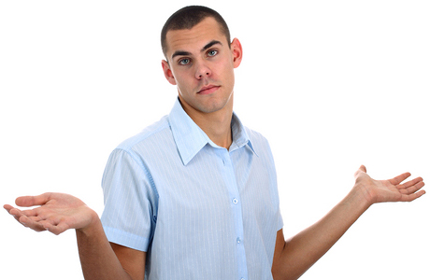 How customers decide if your employees have done a ‘good job or a ‘bad job. Why (and how) to build a life-long relationship and create a Cheerleader customer. How techs can deliver positive ‘Moments of Truth‘ with their actions, appearance and attitude. How to give your customer the ‘Illusion of Control. Where your technicians (and everyone else too) fits in to your company’s Service Circle. Simple scripts that makes VAS easy to implement. Hands-on training and role playing that shows techs how to make the VAST concepts work. How your techs can sky-rocket the ecstatic 5 star online reviews your delighted customers will post on Google! The seminar contains 7 hours of class instruction as well as hands-on role playing. The VAST course is also approved for one IICRC (CEC) credit. Each student receives a 90 page class workbook and (just to reassure your employees) there is no formal VAST seminar final exam that a student must pass! Jeff Cutshall has been in the cleaning industry since 1982. He is also an IICRC approved instructor in 3 cleaning related categories. In addition to consulting and teaching he also currently runs a commercial carpet cleaning business located in Kansas City. Jeff is continuously experimenting with customer service improvements and shares these in his classes. 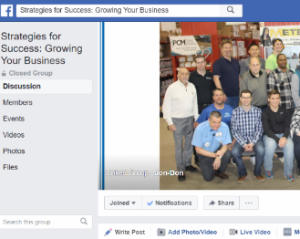 Should I send my employees to a JonDon VAST class or sponsor one on my own? How much does a on-site VAST cost held at my location? If I sponsor a VAST class where should I have it? I’m a small business owner. Is their anything new in VAST that I didn’t learn when I attended Strategies for Success? What if I primarily do restoration? Who should I have attend the VAST seminar? OK, I’m sold. But once I have you do a VAST seminar for me (or send my employees) then how do I keep the Value Added Service momentum going among my employees? 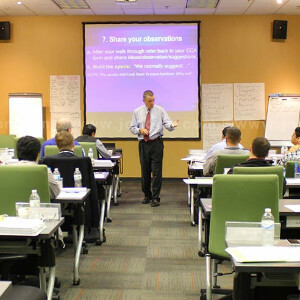 We offer the VAST course at most of Jon-Don’s facilities scheduled about a month or so after a SFS management seminar. The cost is $159.00 for each student which includes lunch, a 90 page manual, a Cheerleader Checklist PLUS each employee will return motivated and excited about making Cheerleaders for your company! Should I send my employees to a Jon-Don VAST class or sponsor a custom VAST class at my location? 1. We’ll get everyone in your company on board with Value Added Service at the same time! 2. We can customize the class for an exact fit for your specific company needs and challenges. 3. When you factor in traveling expenses, etc, even if your company has just a handful of employees you’ll actually save money and get the maximum benefit! If you have an office you may already have a training room. Other companies will rent (or trade services for) a meeting room at a local hotel or community center. While this may cost a little more the advantage is it puts the techs in a more relaxing, learning environment. Providing refreshments, drinks and a nice catered lunch also makes more a more enjoyable experience. I’m a small business owner. Is their anything new in VAST that I didn’t learn when I attended a SFS Training session? No… and yes! The VAST course is the last 3 days of SFS: Business Transformation or two days of SFS: Hands-On Operations combined into one intense day but without the management issues. If it’s been awhile since you attended SFS Training, the VAST course is an excellent one-day refresher course. If you have one or two employees it’s also a great opportunity to bring your employees and sit-in with them to see first hand their response to the concepts. Most importantly in VAST we focus on what’s in it for your front-line technicians! No problem. We also have a restoration version of the VAST manual. The restoration manual covers the unique challenges that you face regarding dealing with insurance agents and adjusters, as well as the different emotional dynamics of dealing with a seriously traumatized Insured! Everyone! Even though this class is called VAST (Value Added Service for Technicians) everyone on your Team will benefit from our newly named Value Added Service for your Team seminar! Office staff and managers will see how they can apply the these same powerful VAS concepts and vocabulary throughout your company!